Vitamin D is essential to healthy bones, bodies, and minds. By far, the best way to fill your vitamin D quota is by soaking up some sunshine. But in some climates and seasons, getting enough sunlight isn’t always possible. Fortunately, you can get your fill of vitamin D from many different foods sources. Herring, along with many other types of fish, is an excellent source of vitamin D. A single fillet, or about 143 grams, brings over half the daily value of vitamin D the body needs. It’s high in other nutrients as well, including protein, calcium, and phosphorus. Include more fish such as herring in your diet if you’re concerned about getting enough vitamin D.
Serving Size (1 fillet, or 143 grams), 2996 IU of Vitamin D (749% DV), 291 calories. People absorb vitamin D when they’re out in the sun, so it should be no surprise that the same is true for many vegetables. White mushrooms, also called white button mushrooms, are a fantastic source of vitamin D when they’ve been exposed to the sun’s UV light while growing. They also provide a number of other health benefits, so adding them to your diet can improve your health all around. Serving Size (1 ounce), 5 IU of Vitamin D (1% DV), 6.2 calories. 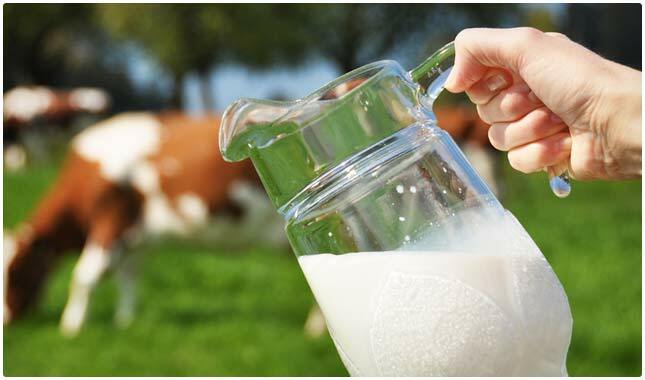 Some of the milk you can find at the grocery store has been fortified with vitamin D. A cup of fortified whole milk provides the body with about 24% of the vitamin D it needs for the day. 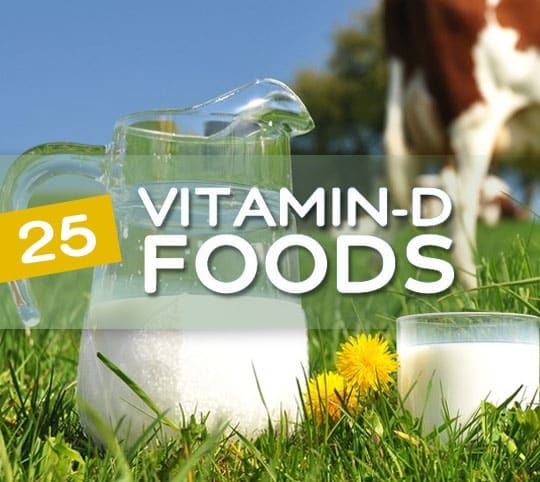 Keep in mind that milk is highly inflammatory, so we recommend getting your vitamin D from other sources on this list first. Serving Size (1 cup), 97.6 IU of Vitamin D (24% DV), 146 calories. As you might have guessed from the name, cod liver oil comes from the liver of the cod fish. You can find it in oil form or in capsule form. And though it’s actually considered a supplement instead of a food, taking it is one of the easiest ways to get more vitamin D.
Serving Size (1 tsp), 450 IU of Vitamin D (113% DV), 41 calories. Vitamins D and C make a great duo, and both are essential in helping you feel healthier and look younger. Swiss cheese is a viable source of both of these vitamins, so if you’re worried you’re not getting enough of either in your diet, a quick way to help is by adding a slice of Swiss cheese to your sandwich or burgers, or sprinkling a handful of shredded cheese over your salad or pasta. Serving Size (1 slice), 12.3 IU of Vitamin D (3% DV), 106 calories. A whole, large egg contains enough Vitamin D to account for about 4% of the daily recommended intake. And that’s not the only nutrient found in eggs that will help keep you healthy and young: eggs also contain protein, essential amino acids, choline, and sulphur. The wide variety of vitamins and minerals housed inside an egg are great for promoting healthy hair and nails, along with a healthy body overall. Serving Size (1 large egg), 17.5 IU of Vitamin D (4% DV), 71.5 calories. Many people drink soy milk for the benefits of healthy soy. If you’re concerned about the amount of Vitamin D and calcium in soy milk versus whole milk, you don’t need to worry; soy milk is a viable source of both. One cup amounts to about 30% of the recommended Vitamin D for the day, and about 30% of the recommended amount of calcium. Serving Size (1 cup), 119 IU of Vitamin D (30% DV), 99.6 calories. If you’re like most people, one mention of caviar and you start thinking of swanky lounges and high-class parties. But caviar (fish eggs) can play a part in anyone’s healthy, balanced diet. Caviar contains a cocktail of various vitamins, minerals, and essential fats, all of which make it a great immune-system booster and quick source of Vitamin D when your body needs to reach its quota for the day. Serving Size (1 tablespoon), 37.1 IU of Vitamin D (9% DV), 40.3 calories. Eating canned salmon is a great way to meet your Vitamin D requirements for the day. Fresh salmon is great too, but canned salmon allows you to stock up for those dark winter months, when sun (and precious Vitamin D) isn’t so plentiful. A 100-gram serving of canned salmon equates to 91% of the recommended amount of Vitamin D the average person needs each day, along with several other nutrients that contribute to your health and youthful glow. Serving Size (100 grams), 466 IU of Vitamin D (117% DV), 136 calories. Many meats, fishes, and cheeses provide essential Vitamin D. While lunch meats, cheese, and other typical deli snacks can be high in calories and sodium, they can also be a great way to get a little extra Vitamin D in your diet, provided you enjoy them in moderation. A slice of salami on your sandwich provides about 3% of the recommended amount of Vitamin D. Add some vitamin-rich Swiss cheese to your sandwich for an even bigger boost. Serving Size (1 slice), 12.5 IU of Vitamin D (3% DV), 67.9 calories. Ricotta cheese is a staple in many Italian dishes, so eat up to get your vitamin D for the day. When cooking, try substituting white pasta for whole wheat, and use fresh vegetables (add mushrooms for more vitamin D) and dried herbs to add a health boost to your meal and your body. Serving Size (100 grams), 10 IU of Vitamin D (2% DV), 174calories. One tablespoon of fortified margarine contains 60 IU of vitamin D, or approximately 15% of your daily recommended value. Make sure to stick with real butter in place of margarine whenever possible as margarine is highly processed and inflammatory. Vitamin D is an essential element in helping you feel young and healthy. 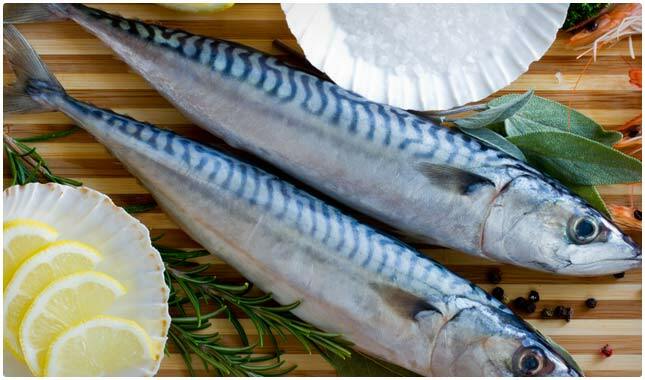 Mackerel is an excellent source of Vitamin D, along with several other nutritious necessities. 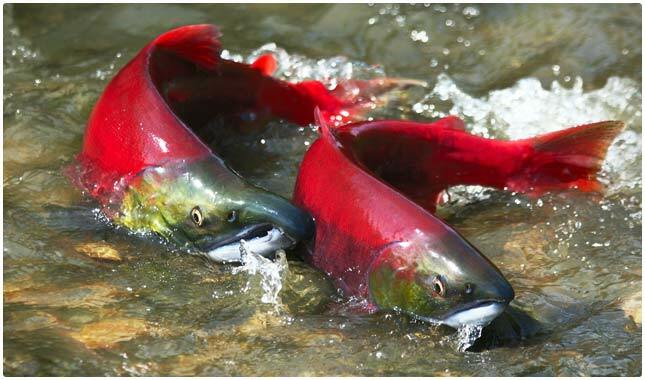 These coldwater fish can be eaten canned or fresh, and it’s a healthy choice either way. If Vitamin D deficiency is your concern, stocking up on canned mackerel is a great remedy, especially for those dark and cold winter months when sunshine isn’t a reliable source. Serving Size (100 grams), 360 IU of Vitamin D (90% DV), 205 calories. Pearl oysters are known for the stunning natural pearls they produce. Other oysters are known for their incredible nutritional properties. Chief among them is Vitamin D. Six medium oysters provide about 67% of the Vitamin D the average person needs each day. They also contain several other important minerals and vitamins that work together to keep you young and healthy. Serving Size (6 medium oysters), 269 IU of Vitamin D (67% DV), 57 calories. A cold glass of orange juice is a healthy way to start your day. Fresh-squeezed is usually ideal, but you might want to think twice if you’re concerned about getting enough Vitamin D to keep you feeling young, strong, and healthy. Many brands of orange juice are fortified with Vitamin D, because it isn’t naturally present in fruits and vegetables such as oranges. Serving Size (1 cup), 142 IU of Vitamin D (32% DV), 110 calories. Tuna is a rich source of healthy unsaturated fats—the kind that keep you looking young and feeling healthy. It’s also a great source of Vitamin D. Canned tuna is convenient and healthy, providing about 39% of the daily recommended value of Vitamin D, along with several other essential vitamins and minerals. Serving Size (100 grams), 236 IU of Vitamin D (59% DV), 198 calories. Yogurt is a tasty treat that’s filled with healthy minerals. Some brands are also fortified with Vitamin D, making it a fantastic food that helps keep you young and healthy. Read the nutrition labels on your favorite brands to see whether or not you’re getting enough Vitamin D in your yogurt. 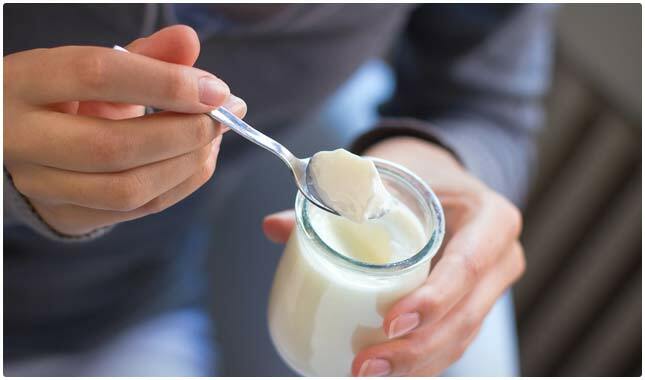 A cup of fortified vanilla yogurt can provide 20% of the Vitamin D that’s needed each day. Serving Size (1 cup), 80 IU of Vitamin D (20% DV), 208 calories. Look for the kind that’s fortified with Vitamin D. One cup provides your body with 20% of the Vitamin D it needs for the day. It also contains protein and calcium, which are essential for healthy bones and muscles. Just be sure not to make chocolate milk a regular habit. Serving Size (1 cup), 100 IU of Vitamin D (25% DV), 208 calories. Next time you’re shopping for your favorite cereal, check the label to see if it’s fortified with Vitamin D. Many of the healthiest cereal choices are, so consider switching if you haven’t already. Different brands and types of cereal vary widely, so always check the labels for nutrition information before buying. One cup of some fortified cereals can provide up to 10% of the daily recommended value of Vitamin D.
Serving Size (1 cup, about 50 grams), 40 IU of Vitamin D (10% DV), 80 calories. Beef liver is rich in a variety of vitamins, minerals, and nutrients. It’s also low in calories and fat, compared to other types of beef. It’s a good source of Vitamin D when you’re not quite able to reach the recommended amount for the day. 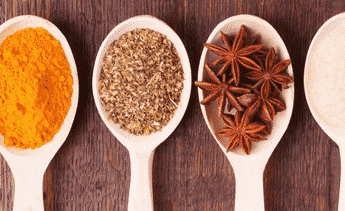 Other nutritional benefits it provides include protein, thiamine, and iron. Serving Size (100 grams), 16 IU of Vitamin D (4% DV), 135 calories. 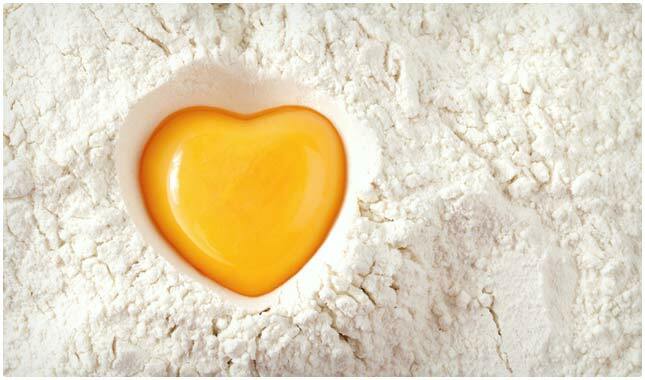 Many people don’t eat egg yolks because of their cholesterol. It’s true that egg whites contain less cholesterol and fewer calories than the yolk, but egg whites also contains far fewer nutrients. Essential vitamins and minerals such as calcium, iron, zinc, and vitamins A,E, K, and D are all housed primarily in the egg yolk. The yolk from just one large egg contains enough Vitamin D to account for about 5% of the daily recommended value. Serving Size (yolk of 1 large egg), 18.2 IU of Vitamin D (5% DV), 54 calories. Sardines are becoming more and more popular as their wonderful health benefits become more widely known. Their high omega-3 fatty acid contents contribute to bone health, lowering cholesterol, and reducing inflammation, and their impressive calcium and Vitamin D contents keep you feeling young and healthy. Serving Size (100 grams), 272 IU of Vitamin D (68% DV), 208 calories. Catfish have a great flavor, but there are many other reasons to love it. Most of those reasons involve the myriad health benefits that come with eating this freshwater fish. Catfish are low in most of the bad stuff—calories, bad fat, and mercury—and high in much of the good stuff—vitamins, protein, and good fats. They’re also high in Vitamin D. One fillet provides almost 200% of the recommended daily value. Serving Size (1 fillet, about 159 grams), 795 IU of Vitamin D (199% DV), 151 calories. Butter gets a bad rap for being high in saturated fat. But it’s important to remember that saturated fat is still essential to a healthy diet; it helps the body absorb antioxidants and vitamins. Butter contains a small amount of Vitamin D, and it will also help your body absorb and use the Vitamin D that you get from other sources. As long as you consume it in moderation, butter can be a welcome addition to a healthy and balanced diet. Serving Size (1 stick), 63.3 IU of Vitamin D (16% DV), 810 calories. Swordfish is a delicious food that’s versatile enough to eat as a main course for dinner or as a complement to a lunchtime salad. Plus, it provides plenty of Vitamin D—nearly 142% of your body’s needs per three-ounce serving. Eat more swordfish to say young and healthy; it helps control weight, promote bone strength, and prevent heart disease. Serving Size (3 ounces), 566 IU of Vitamin D (142% DV), 132 calories. Learn about the many benefits of Vitamin D and how to see if you are Vitamin D deficient. Vitamin D is good for the heart, bones, muscles, and more. In short, it helps keep you feeling young and healthy in mind and body. If you’re worried about getting enough Vitamin D in the darker, colder seasons, you can add several Vitamin D rich foods to your diet to make sure you’re meeting the recommended amount each day. You may also like our list of the foods highest in iron. i heard you should not eat swordfish because it contains a lot of mercury. Warren should you eat 10 pounds of swordfish every day for 30 days yes you would have a high level of mercury in your system. This is slightly confusing. Your article says “100 IU of Vitamin D (167% DV)” for sausage links, but for orange juice, 100 IU of Vitamin D (17% DV) can be found. The % DV isn’t dependent on the number of IU vs a fixed DV? How can 100 IU differ so vastly between foods? I HAD A vITAMIN D DEFECIENCY DIAGNOSED BY BLLOD TEST I THOUGHT IT WAS dIABETIES…i HAD THESE REALLY TIRED SPELLS BETWEEN 2 AND 4 EVERY DAY BNEARLY FELL ON FACE i WAS A MED TECH IN MILITARY AND USED TI DRAW BLOOD…LAB TEST TOLD IT ALL I AM LACTOSE INTOLERANT AND hAVE LOTS OF TROUBLE WITH SOY CORN AND WHEAT..AND OAT SO I CHOOSE TO EAT LIVER MUSHROOMS ARE STARTING TO BOTHER ME,WISH i COULD EAT SHRIMP AND SALMON.SO LOVE PORK SEAFOOD SPINACH! Good info! How do I know who has written this? Hi, I love fruit but cannot find any information that tells me what fruit is high in Vitamin D, are there any at all?